Hi friends, here is Eggless Oats Chocolate Biscotti for November month's Home Baker's Challenge. 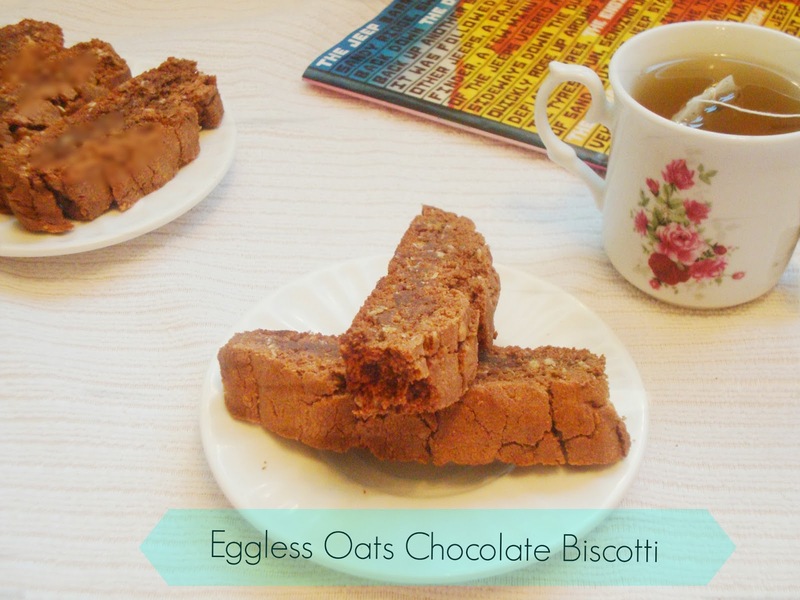 This month Priya Suresh is hosting the event and she has selected Biscotti varieties as a challenge. Though she had suggested both spicy and sweet version; I preferred to bake the sweet one which came out so crunchy and delicious. Just a small note on Biscotti; Biscotti are oblong, thick, brittle cookies from Italy. The term Biscotti comes from the Latin for "twice baked" because the cookies must be baked twice to get them dry and crunchy. Preheat oven to 180 deg. C; grease baking tray or line with parchment paper. In a bowl, beat butter and powdered sugar until light and fluffy. Add melted chocolate and vanilla essence; beat well. 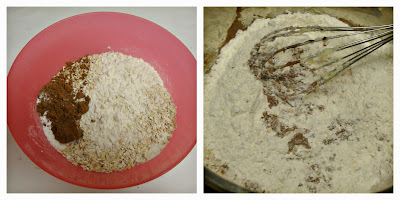 Take the flour, rolled oats, cocoa powder, baking soda, baking powder and salt in a vessel; slowly add this dry ingredients to the chocolate mixture to form soft dough. 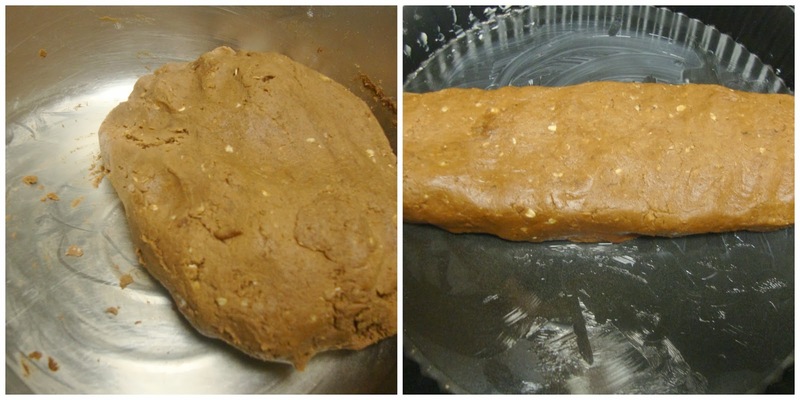 Make the dough into a log shape. Transfer the logs to the prepared baking sheet. Bake till (almost) firm to touch, about 20 to 25 minutes (logs will spread during baking). Remove from the oven, place on wire rack and let cool for 15 minutes. Transfer the logs to a cutting board. Using a serrated or sharp knife cut the log diagonally into ¾ inch thick slices. Arrange the slices cut-side down on the baking sheet and bake for 8 to 10 minutes. 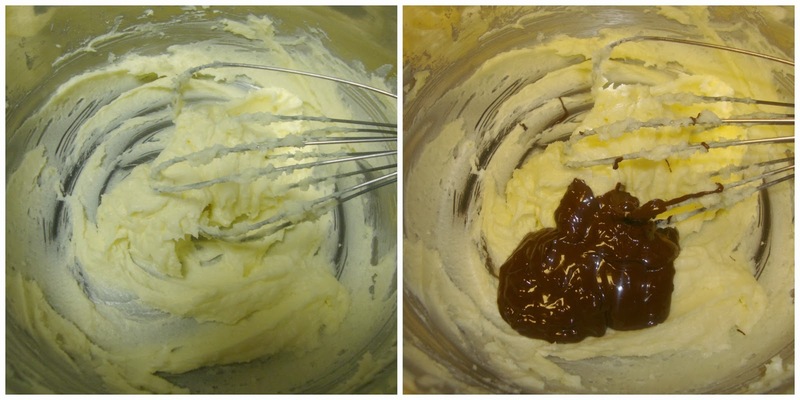 Turn the slices over and bake for another 5 to 10 minutes or until crisp and dry; remove from oven. If you feel moisture is not enough to hold the dough, you may sprinkle some milk. 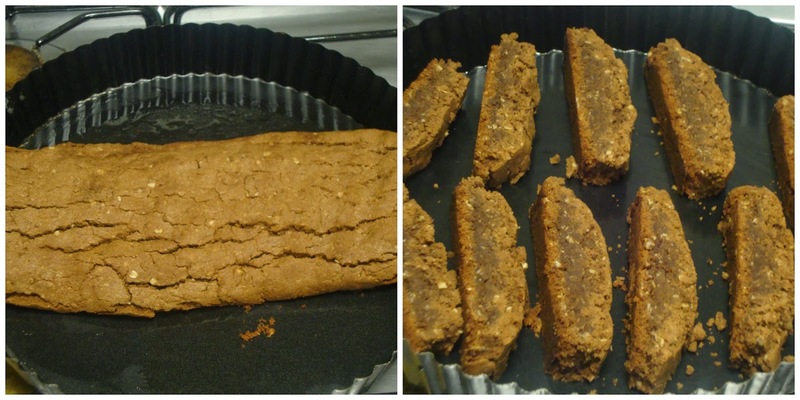 Tasty crunchy Biscotti. Looks Yummy. Have to try..
Bisocotti looks yum and perfect..nice step by step pictures..
Wow...biscotti looks crunchy and delicious!!! love it!! Looks so nice.. well baked !